Ridge School Boogies Down at the Annual Sweetheart Dance! We made clouds with hot water and ice to help study EVAPORATION and CONDENSATION in the water cycle, then used blue dye and shaving cream to indicate PRECIPITATION. We also learned a song, and made bead bracelets for each step! To celebrate 100 Days of School, we joined the Kindergarten and First Grade Classes for Olympics, Building, and Snacking Activities -- all exploring the concept of one hundred! Mrs. Eyer, our school secretary, shares a holiday story with the class. 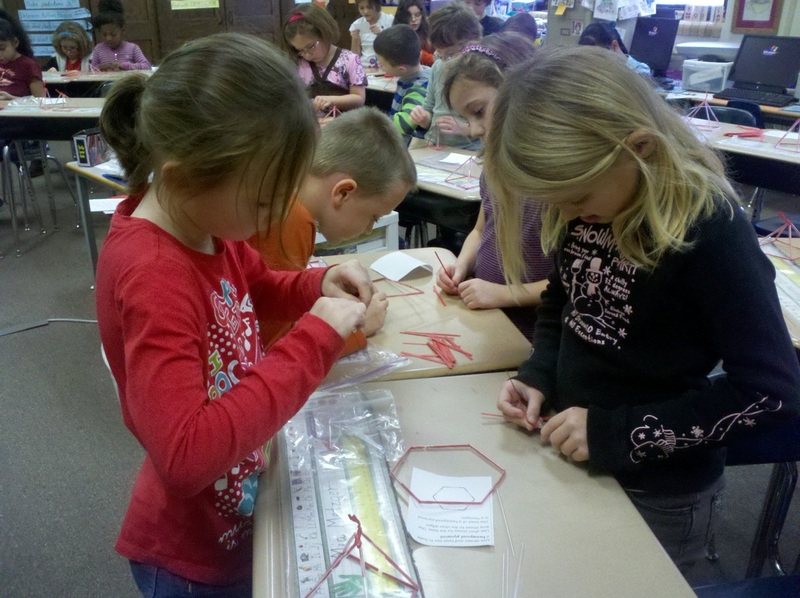 To help us understand 2D and 3D shapes, we built pyramids out of straws and twist-ties. To help us wrap up our healthy choices unit, our former Ridge Cook Mrs. Forshee returned to review the food groups and make smoothies with us. We enjoyed a wonderful Grandparent's Day Program on November 20th. Students performed in the gym, and then grandparents visited our classroom to read with us and see our technology in action! We honored Veterans with a special program on November 9. We are fortunate to have several family members currently serving in the armed forces or whom are veterans. Our school secretary Mrs. Eyer's father was the keynote speaker sharing his experiences in WWII. We were then honored with a classroom visit from Bradley's dad, USAF Sgt. Jason Hill and his uncle, whom demonstrated some of their active duty gear. Mr. Hill also reminded us of the *family sacrifice* involved when our troops are on active duty. Mrs. Higgins and Mrs. Broz had relatives whom served in the armed forces. Mrs. Higgins brought in her Grandfather's World War II uniform, and the class reviewed their map skills looking at the locations all around the word where our veterans have served and our forces are currently protecting freedoms. On October 31, we were thrilled to welcome former Ridge teacher, Mrs. Zeh into our classroom to help us explore more about life science and health. She then led us in a cool, seasonal, skeleton craft and diagram activity. 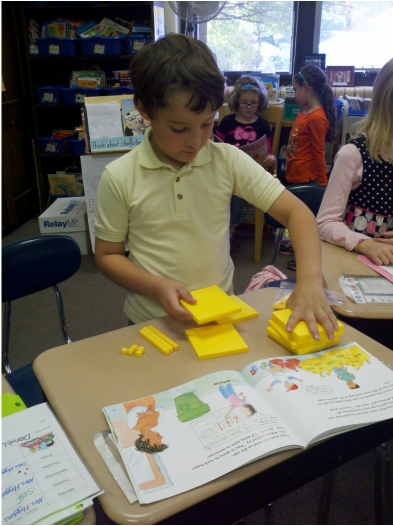 Our class was so fortunate to receive funding from the "Donor's Choose" Program for a set of math-related literature books. We are really enjoying using them in our classroom in a variety of ways. 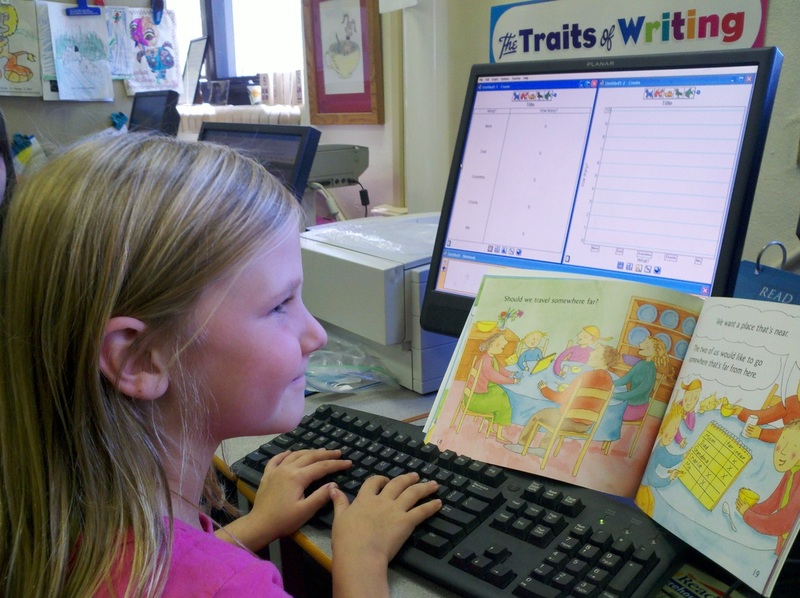 We participated in a birthday party webcast with Scholastic. We love reading books at our theme shelf. 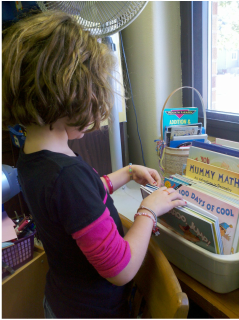 They change weekly, depending on what we are studying. 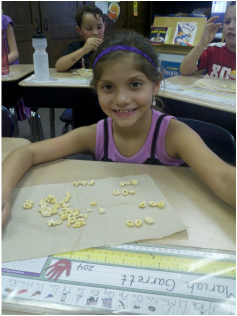 Second Graders use "vowel tents" to practice their spelling words. 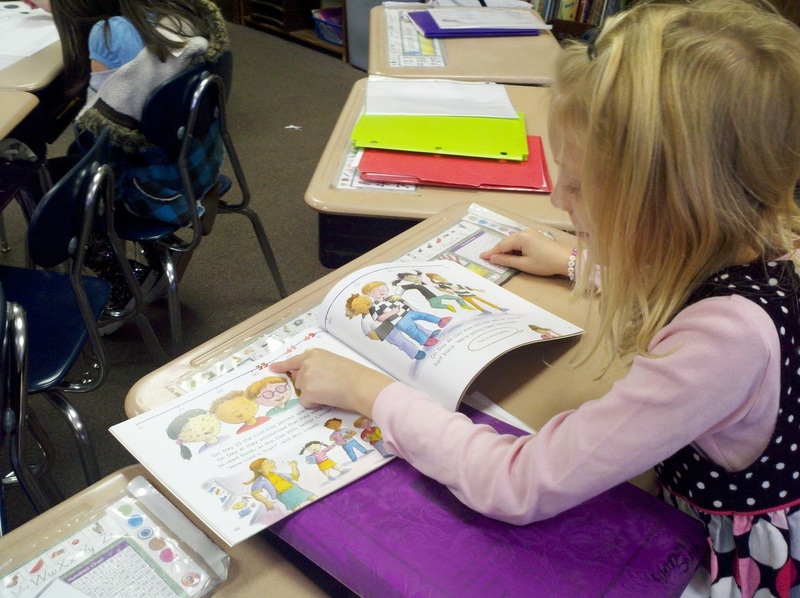 We use shoes to talk about how to pick "good fit" books. 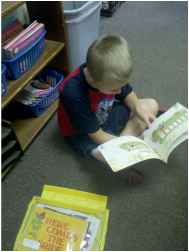 We self-select books from our leveled baskets. We play games to help us learn our math facts. We are WORD WIZARDS practicing our phonics skills. 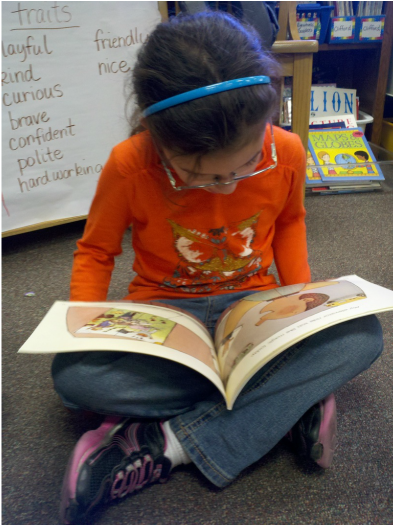 We read with others, as part of our Daily 5, to build fluency. We work with words in a variety of ways -- high and low tech!